Before travelling, I’d never stayed in a hostel before! I imagined them to all be dirty and not well looked after. I thought I had to bring my own sleeping bag or something and all my stuff would get stolen. But I was so wrong! Hostels ended up being the best experiences, I don’t think I would have met the people I did if I just stayed in hotels the whole time. Before I booked accommodation, I looked up reviews on every hostel I was thinking of staying at and went for ones with the best price and the best reviews. Obviously when you’re going to book a hostel, don’t expect room service every day. Just somewhere safe and clean to sleep and hang out in at the end of the night. That way – hopefully you won’t be disappointed. an establishment which provides inexpensive food and lodging for a specific group of people, such as students, workers, or travellers. All the hostels I stayed at I either had my own locker to put my valuables in, a chest-type-thing underneath my bed with a lock on it or some place to put stuff where I could provide my own padlock. The hostels I stayed at, I had to make my own bed. Meaning when you rocked up they’d have a fresh set of sheets folded on top of your bed for you. It was up to you to make your own bed, which was fine as you knew the sheets had been replaced before you arrived. I never came across bed bugs or any of that stuff. However, i’m sure if that happened (Which I’m sure it does) I’d say something to the reception. I remember in San Fran a girl had complained there were ants in her bed but she was sleeping right next to the window which was a bit unfortunate. At the end of your stay, you’re usually expected to strip your bed yourself and take your sheets down to the laundry bin/shaft where the hostel workers clean them. I was a bit funny about sleeping in the same room as guys so I made sure I always booked ‘female-only’ dorms. I haven’t yet come across a hostel that doesn’t give you that option. 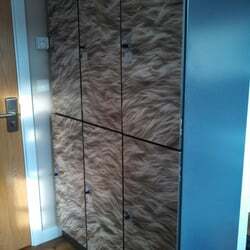 You also can choose how many people you want to share a room with. Most Hostels have 4, 6, 8 or 10 bedded rooms to choose from. I always chose 4 or 6 as I didn’t want lots of loud snorers, but I also found I had less of a selection of people to meet in my room by choosing the less full ones. 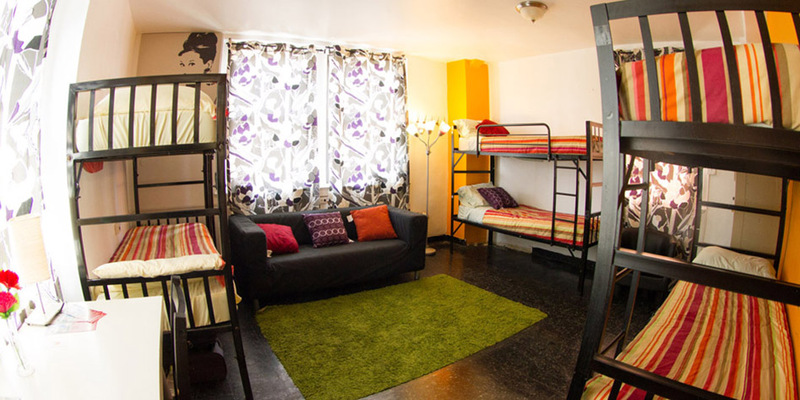 Some hostels also give the option of choosing your own room – but you obviously have to pay quite a bit more for this. You’d be surprised how many couples or groups of friends stay in Hostels. I met a couple of girls in LA who were friends and got the same dorm room together and I also met a couple who booked their own room instead of sharing with other people so they could share a bed and have some more privacy. It was kind of like having their own hotel room but with the advantages of meeting lots of other people and joining in on all the day trips the Hostel’s plan. I kind of wish that was true as I’m young and I like being around people of the same age bracket, but you end up meeting people of all different ages. I’m not going to lie, the smaller type hostels usually had people of 18 – 30 year old’s staying in them but I remember in the New York Hostel I stayed at there were ‘older’ people who were on ‘career’ breaks or were just in town for business so stayed in hostels. I remember even seeing a young boy and his dad at one of the hostels. Not that this happens very often but it can! Slightly true….but not all of them. The Hostel I stayed at in New York they had Bar Crawls every few nights which were great as I met heaps of people that way. The Hostel I stayed at in London had a bar downstairs and dance area etc… which defiantly got used but when you’re upstairs in bed you couldn’t hear a thing. Just review the hostel you want to stay at before you book and you’ll get an idea if it’s a party one or not. If Young-Group tours leave or stay in those type of hostels it will usually end up being a party hostel. I found the places I stayed at that didn’t do bar crawls and stuff ended up being the less-memorable ones anyways. Now hopefully I’ve convinced you to try and stay in a hostel at least once in your life time! If you do decide to book that room sleeping in bunks with other people, than here are some important rules I really suggest you follow. Obviously not 24/7 but when your flight arrives late and you don’t get to your room until 12.30am in the morning, please please don’t turn on the light and start un packing your bags! This is when one of those little torches really come in handy. The same goes for your drunken nights after the bar crawl. People do actually sleep in the dorms, so don’t sit on your bed with your 2 new friends and have drunken deep and meaningfuls at 3am. Or put it on silent! I slept under this one girl who would text away on her phone for hours and all I’d hear is ‘blub blub blub’ from her Bubble keypad she had on. Grrrr. It’s common sense, but I feel like I have to write it here. If someone has their bag open, don’t steal their make-up. If you’re waiting for the washing machine and someone’s clothes are in there, don’t take their jeans or their top or whatever else you fancy. Karma will get you. On the topic of clothes, don’t use your dorm as a Chinese Laundry mat and spread your clothes over all the chairs. Spare the few coins and put your clothes in the drier. If you know you’re leaving the next day or you have to leave really early at like 5am, pack all your stuff in your bag the night before. Leave a little torch out and a new set of clothes to change into in the morning. I can usually sleep through someone getting all their stuff together to leave the next day but when you’re banging locker doors open and closed then it gets super annoying. Showers are there for a reason. I never came across any smelly Sally’s but I’m sure it does happen. We had this one person on one of the tours who I could smell a mile away. I felt really sorry for whoever they shared a room with because it was so un-pleasant. Same goes for clothes, if your clothes stink than so will you even if you just had a shower. You’re probably still going to when you think there’s just no where else to go, but have a little bit of consideration for your room mates. They may act like they’re sleeping but really they just don’t want to make eye contact with you as you’re going cowboy with the guy from room 39. I feel this is one of the most important rules. You’re staying in a hostel to meet people (and save money) don’t sit in a corner and message your friends back home for 4 hours. Just be in the moment! When you’re eating at a table, sit down next to someone and start up a conversation. When you arrive in your room, introduce yourself to the people already in your room, ask them where they’re from, what they’ve seen so far etc… It makes you feel a bit safer getting to know the people you’ll sleeping with and half of the time they’ll usually ask you if you want to join them on some type of expedition or to grab something to eat. In LA I remember just walking into my room, talking to this girl and then immediately going out to eat at a diner with her. Later on we got more people and we all went out for Gelato! Great posts, shed my inhibitions for hostels to some extent! Will try one out when I travel next. I would say just be careful if you are staying at a place that mainly has workers – especially the fly in- fly out type if you are in Australia. The only time I used a hostel/backpackers in Australia I had the most aweful experience- not because of the other room mates but from the woman running the place. She had obviously stopped giving a.f. about any idea of customer service and had posters all around the hostel about video surveillance and all the infractions you could be instantly kicked out for; and this was a place that had supposedly had reasonable reviews, it felt like communist Russia. Maybe hostels overseas are better.